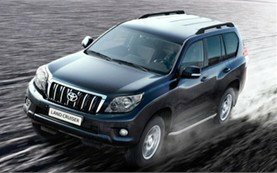 The Japanese Toyota Motor Corporation is the world's second-largest automaker of a full range of models, from minivehicles, passenger cars and SUVs to minivans and large trucks. 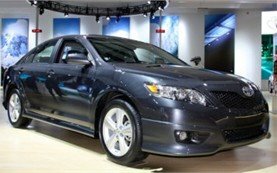 Toyota has established itself as a world leader for the reliability, engineering excellence and build quality of its vehicles. In fact, the Toyota brand has now become a bye-word for dependability worldwide. Never one to rest on its well-deserved reputation, Toyota has consistently pushed into new areas, the most notable of which has been its pioneering success with hybrid gas-electric vehicles. Today, Toyota has been credited for its innovative work in developing environmentally friendly vehicle technologies and for its ongoing commitment to building cars that address the environmental challenges in the 21st century, without compromising the standards of safety, performance and practicality expected by today's drivers and passengers. The Toyota brand has become ubiquitous wherever you go in the world today. 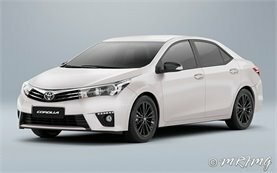 Toyota's popular brands including the Avensis, Corolla, Corolla Verso, Land Cruiser, RAV4, Yaris, and the Toyota Aygo are present in every car hire company's list. 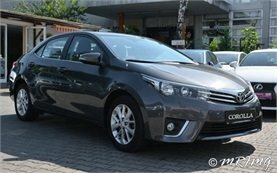 The Corolla, in its many forms, established Toyota as a world player over the years of its production and has been a favourite among car hire drivers in Bulgaria. Toyota's eye-catching Aygo has received high marks for safety and reliability among car hire customers. The Avensis has proved to be a car hire hit across Europe and especially in Bulgaria with its focus on quality and value. The Toyota Yaris is a popular choice among those looking for an ultra-reliable small car hire.